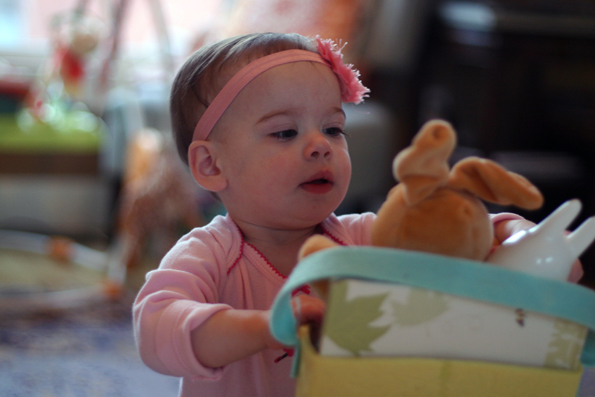 GOOD MORNING, EASTER: The Snore is a little under the weather, but she did like her Easter basket this morning. I’ve been into word histories lately, and apparently “Easter” comes from the goddess Austron, who was in charge of the sunrise, fertility, and spring, among other things. What’s up, Austron? 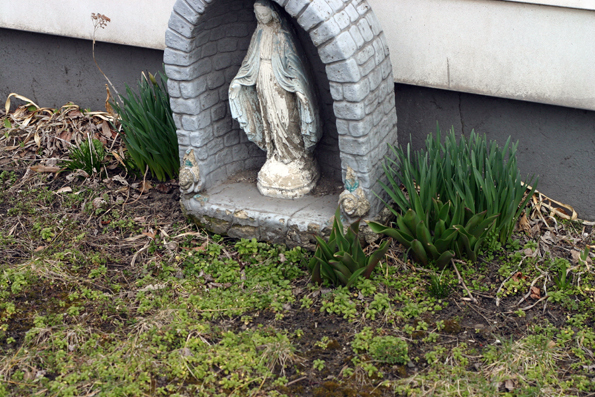 WE DIDN’T GO TO CHURCH: But we did walk by this cool little Mary statue in somebody’s yard! I like your blue cape, Mary! It was a pretty good walk — 50 degrees, a little overcast. Nora was having some trouble taking a nap, and this completely did the trick. And then Ryan and I split a Reuben to go from Lucky’s, and everyone was happy. 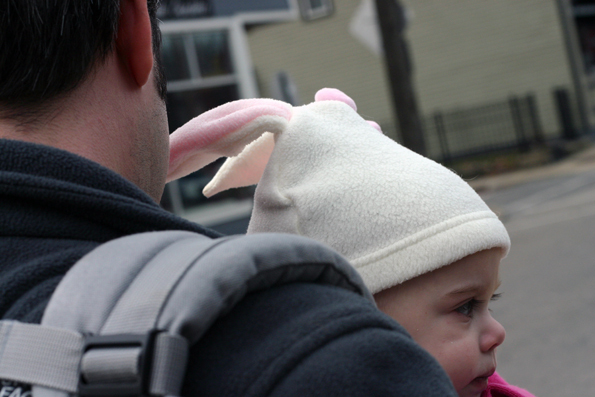 NORA’S ADORABLE BUNNY HAT: I think we got this as a hand-me-down from my pal Julie. GREEN THINGS: I take this picture just about every spring, which is pretty uncreative of me. 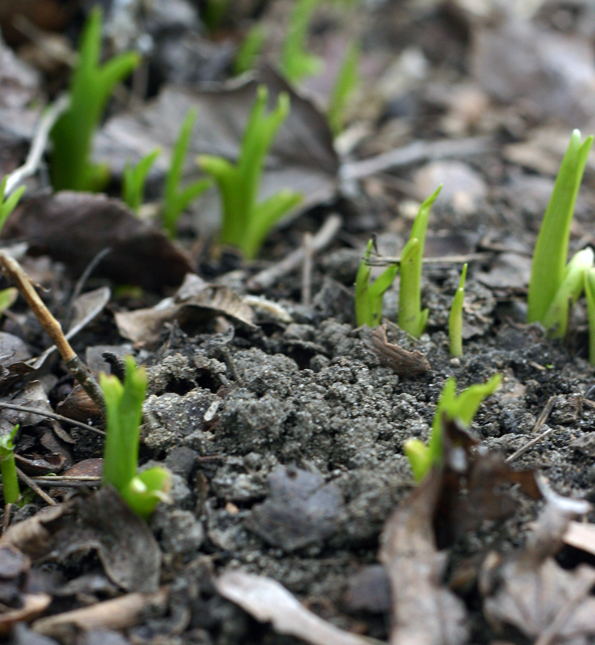 But I really like seeing green things popping out of the ground. We’re getting really close to Farmer’s Market (Tremont’s opens on Tuesday if you want to join us) and hiking weather. So psyched!